Tonight I attended another great talk by Marie de Guzman & Damon Newman from The Mangrove Neuroscience Consultancy. A packed out CMI audience in central London was representative of the high interest there is in the market for understanding change at the individual level. The Economist Intelligence Unit reported earlier this year that “on average only 56% of change initiatives are successful”. This report was based on responses from 288 senior executives, over 75% of which came from organisations with revenue of greater that US$1bn. These are big players and they are saying that nearly half of their change initiatives fail. You can read the report in detail here. Historically, I’ve heard figures of 70% being the working number for failed change programs. What it tells us is that for all the process and investment organisations make, they are not very good at executing change and realising the intended success. Before you go any further, take 5-6 minutes or so to watch this video from the BBC “Brain Story” programme. Isn’t it amazing that 75% of people in the experiment with the switched guy(s) didn’t notice anything! Marie describes this blindness as extremely relevant in the Change context. 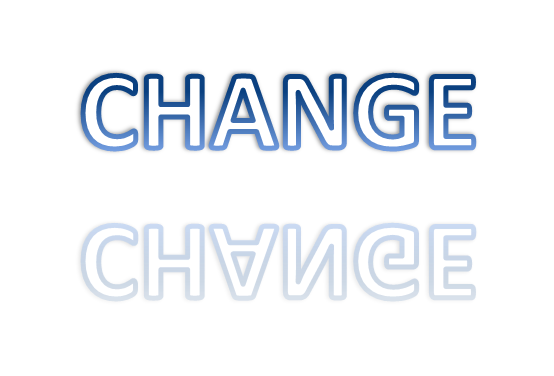 When you’ve got your head down managing change, you are not looking around. Awareness of your environment is low. However, awareness is key to managing and leading successful change. They pick up more signals from their environment. They are more aware and actively seek to stay aware of what is happening around them. They have the energy for change. They learn through failure – in fact they expect it as part of the learning process. @DougShaw1 wrote a brilliant piece on this recently here. For a long time I’ve seen Change initiatives run as you would a technical programme or project. Yet, for all the project discipline and milestone tracking there is a real tendency to ignore the people for the sake of the process. My view is that this is why many programmes fail. It’s also why Change initiatives need both Change Managers as well as Change Leaders. Most importantly, they need Change Managers and Change Leaders with the right behaviours and competencies to make change happen. That’s change at the people level not just the process level. Where do you see change succeed or fail? Would love to hear your experiences & observations.